OLED (Organic Light Emitting Diodes) is a flat light emitting technology, made by placing a series of organic thin films between two conductors. When electrical current is applied, a bright light is emitted. OLEDs are emissive displays that do not require a backlight and so are thinner and more efficient than LCD displays (which do require a white backlight). OLED displays are not just thin and efficient - they provide the best image quality ever and they can also be made transparent, flexible, foldable and even rollable and stretchable in the future. OLEDs represent the future of display technology! Improved image quality - better contrast, higher brightness, fuller viewing angle, a wider color range and much faster refresh rates. 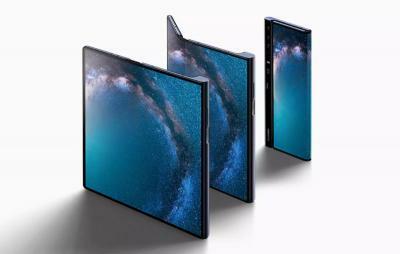 Flexible OLEDs are already on the market for many years (in smartphones, wearables and other devices) and in 2019 we have finally seen the first foldable devices - such as the Samsung Galaxy Fold and the Huawei Mate X - both are smartphones that open up to become tablet devices with foldable OLEDs. 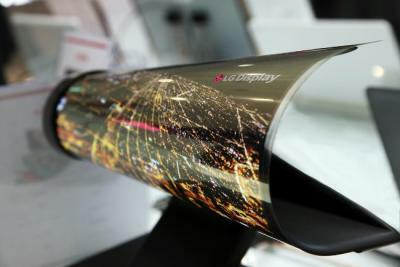 In 2019 LG also announced the world's first rollable OLED - its 65" OLED R TV that can roll into its base! An OLED is made by placing a series of organic thin films between two conductors. When electrical current is applied, a bright light is emitted. Click here for a more detailed view of the OLED technology. So what's organic about OLEDs? OLEDs are organic because they are made from carbon and hydrogen. There's no connection to organic food or farming - although OLEDs are very efficient and do not contain any bad metals - so it's a real green technology. Where can I find an OLED display today? OLEDs are used today in mobile phones, digital cameras, VR headsets, tablets, laptops and TVs. In 2018, over 500 million AMOLED screens were produced - mostly to satisfy demand from mobile phones vendors. The leading AMOLED producer is Samsung Display, and most premium phones today adopt rigid and flexible OLED displays. Apple for example is using a flexible AMOLED in its 2018 iPhone XS - a 5.8" 1125x2436 OLED panel made by SDC, the same display as the iPhone X AMOLED. The iPhone XS Max sports a larger 6.5" 1242x2688 flexible AMOLED. 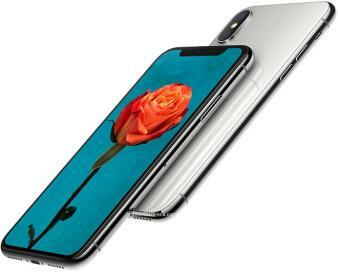 Display experts say that the iPhone XS Max Display is the world's best smartphone display. OLEDs are used in mobile devices today because they are thin, efficient, flexible and bright. OLEDs carry a price premium over LCDs, but companies are using these displays more and more as performance increases and prices decrease. Here's our list of products and gadgets with an OLED display. If you are looking to adopt an OLED display in your own device, our OLED Marketplace is the world's most comprehensive OLED display catalog. OLED is the best display technology - and indeed OLED panels are used today to create the most stunning TVs ever - with the best image quality combined with the thinnest sets ever. And this is only the beginning, as in the future OLED will enable large rollable and transparent TVs! Currently the only company that produces OLED TV panels is LG Display. The Korean display maker is making 55", 65" and 77" 4K OLED panels (in 2019 it will start producing 88" panels as well - in addition to rollable OLED TVs), offering them to TV makers. 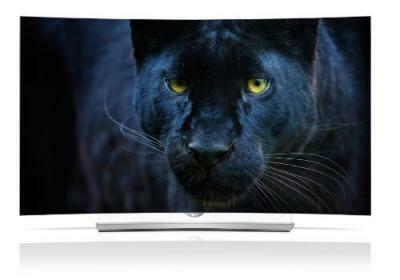 Not surprisingly, LG Electronics is the leading OLED TV maker, but other companies such as Panasonic, Sony, Philips and others also offering OLED TVs that are based on LG's panels. LG is offering a wide selection of OLED TVs, ranging from the "basic" (but still premium) OLEDB8 to the top-of-the-line Wallpaper-like OLEDW8. Reviews of current OLED TVs have been spectacular, with most reviewers and consumers that OLED TVs offer the best picture quality ever! LG's 2019 OLED TV range includes the large 88" 8K OLED Z9 and the rollable 65" Signature OLED R.
OLEDs aren't perfect. First of all, it costs more to produce an OLED than it does to produce an LCD - although this should hopefully change in the future, as OLEDs has a potential to be even cheaper than LCDs because of their simple design (some believe that future OLEDs will be printed using simple ink-jet processes). OLEDs have limited lifetime (like any display, really), that was quite a problem a few years ago. But there has been constant progress, and today this is almost a non-issue. Today OLEDs last long enough to be used in mobile devices and TVs. OLEDs can also be problematic in direct sunlight, because of their emmissive nature. But companies are working to make it better, and newer AMOLEDs (such as Samsung's Super AMOLED and Super AMOLED Plus and Nokia's CBD displays) are quite good in that respect - some even consider them superior to LCDs. OLEDs can be used to create excellent light source. OLEDs offer diffuse area lighting and can be flexible, efficient, light, thin, transparent, color-tunable and more. OLEDs will probably be used in completely new lighting designs. Companies all over the world, including LG, OSRAM, GE, Lumiotec, Pioneer and others are working towards OLED lighting. Many companies are already offering samples and low-volume panels, but prices are still very high as production volume is low. Established in 2004, OLED-Info is the web's leading OLED portal, providing daily news, resources and services to the OLED industry and community. Check out OLED-Info's sitemap to view our complete list of OLED resources and articles. Here's some more info about us. You can also check out our Facebook page, follow us on Twitter. Be sure to subscribe to our monthly newsletter if you want to stay updated on OLEDs!